Image: The Mammomat Revelation premium mammography system enables providers to expand precision medicine, improve clinical operations and increase patient satisfaction (Photo courtesy of Siemens Healthineers). 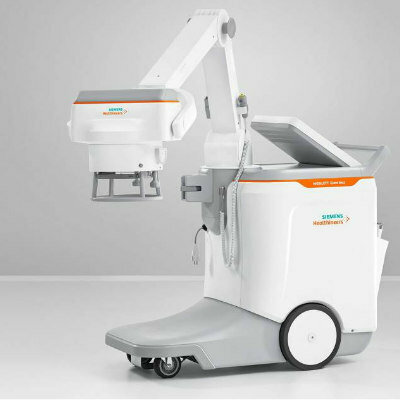 Siemens Healthineers (Erlangen, Germany) presented its new computed tomography (CT) scanner portfolio and premium mammography system at the 103rd Scientific Assembly and Annual Meeting of the Radiological Society of North America (RSNA) held from Nov. 26 to Dec. 1 in Chicago. 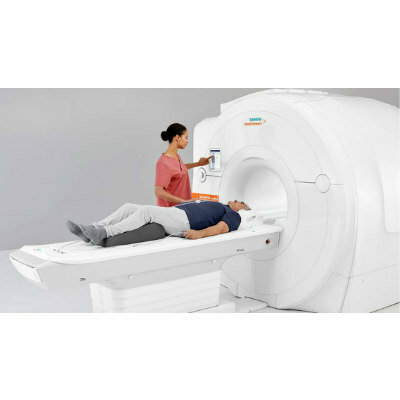 Siemens’ portfolio of CT scanners showcased at RSNA 2017 included two new scanners in the SOMATOM go. platform – SOMATOM go.All and SOMATOM go.Top – which expand the range of clinical applications for its patient-centric mobile workflow operated via tablet and remote. With a 0.33 second rotation time and the established Stellar detector technology, the 64-slice SOMATOM go.All can cover scan ranges of up to 100 mm in one second. The 128-slice SOMATOM go.Top can perform whole-body scans of up to 200 cm with a scan speed of up to 175 mm per second. 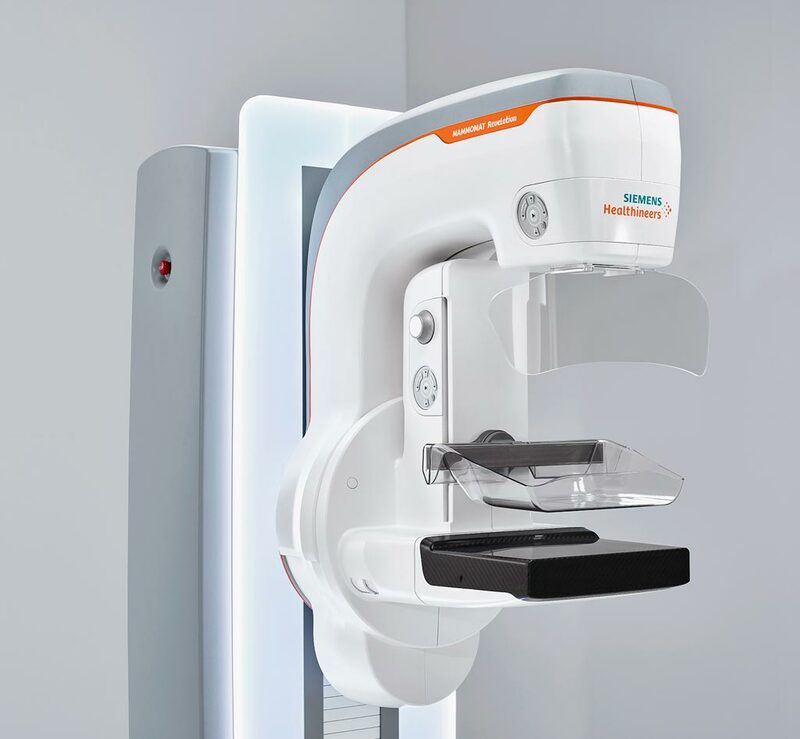 In the high-end segment, Siemens Healthineers introduced two new flagship products in its portfolio: SOMATOM Edge Plus, the new premium single-source system, and SOMATOM Force, the new version of the leading system in the dual-source field (i.e., systems equipped with two X-ray tubes and two detectors). The new systems allow clinical users to cover all CT applications, regardless of patient or clinical issue. Both systems also offer high-precision diagnostics, which is a prerequisite for individualized prevention and therapy. The high-precision diagnostics is made possible by the FAST (Fully Assisting Scanner Technologies) applications integrated into the premium systems. One application is the FAST Integrated Workflow with the all-new FAST 3D Camera for automatic patient positioning. 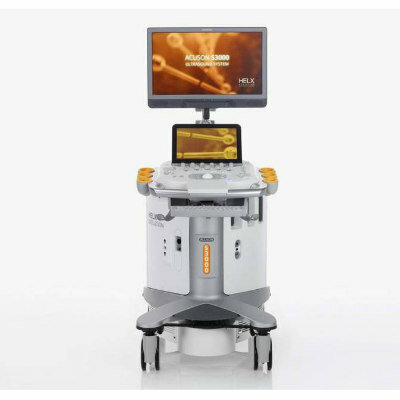 In SOMATOM Edge Plus and the Dual Source scanners SOMATOM Drive and SOMATOM Force, a 3D camera is fitted above the patient table that uses artificial intelligence and deep learning technologies to recognize patient anatomical landmarks. This technology enables fewer rescans, reduced time for patients and staff, and precise diagnostics at lower cost. At this year’s RSNA, Siemens Healthineers also presented the Mammomat Revelation, its new premium mammography system that enables providers to expand precision medicine, improve clinical operations and increase patient satisfaction. The unique 50-degree 3D HD Breast Tomosynthesis provides the highest depth resolution in tomosynthesis to deliver excellent quality 3D images and allowing biopsies to be performed by leveraging this wide tomosynthesis angle. The HD Breast Biopsy solution allows targeting suspicious areas with one click with a +/- 1mm accuracy. 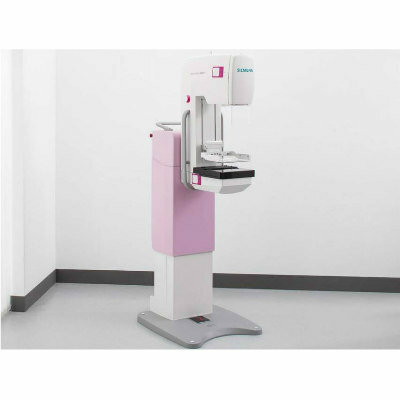 The new integrated specimen imaging tool facilitates the immediate control of the biopsy directly at the mammography system. The clinical workflow is improved by eliminating the need for a second imaging system and by reducing compression time for the patient. The Mammomat Revelation also provides automated breast density measurements at the point of examination. This allows for personalized risk stratification and necessary adjunct imaging exams can be triggered before the patient leaves. 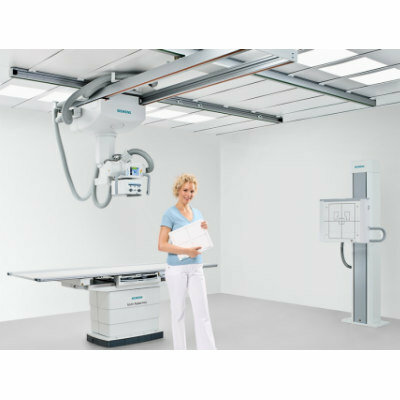 "Mammomat Revelation gives our customers the ability to achieve precise diagnostic results," said Lars Hofmann, Head of Marketing for the X-Ray Products business line at Siemens Healthineers. "As discomfort is a key reason for a woman to avoid mammography exams we are improving their imaging experience with our Personalized Soft Compression."